On 10 January 1975, the Danish Department of Defefence signed a contract for the delivery of thirty two T-17s as replacement fothe aging KZVII; Chipmunk and L-18C Super Cub in service with Kongelige Danske Flyvevåbnet (Royal Danish Air Force) and Haerens Flyvetjaeneste (Danish Army Air Service). On 28 August 1975, the first MFI T-7 (c/n 15-201) of the 32 T-17s destined for Denmark was flown first as SE-M15. On 4 September 1975, this aircraft was delivered to the Danish Air Force as T-401. Op 29 November 1976, MFI T-7 c/n 15-231 was delivered to the Royal Danish Air Force as T-4137 Twenty three of the MFI T-7s entered service with the Air Force and nine with the Army Air Service. 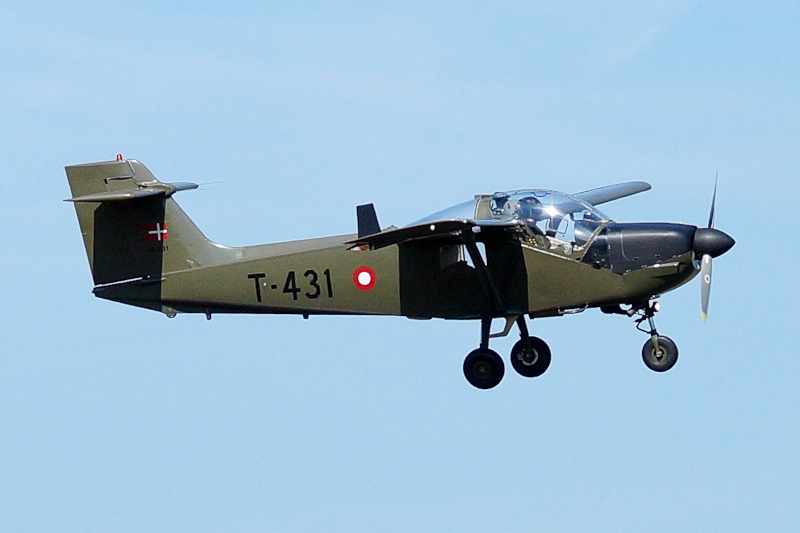 On 7 September 2016, the Royal Danish Air Force T-431 was one of three MFI T-7 Supporters visiting Gilze-Rijen Air Force Base in the Netherlands.